Under the proposed consent decree announced this week, Syngenta would pay a $150,000 civil penalty. In December 2016, the Obama EPA said it was seeking more than $4.8 million. Asked about the discrepancy, which was first reported by the Honolulu Civil Beat, an EPA spokesman this afternoon said that the complaint filed during the Obama administration cited the maximum penalty allowed under the Federal Insecticide, Fungicide and Rodenticide Act at the time. 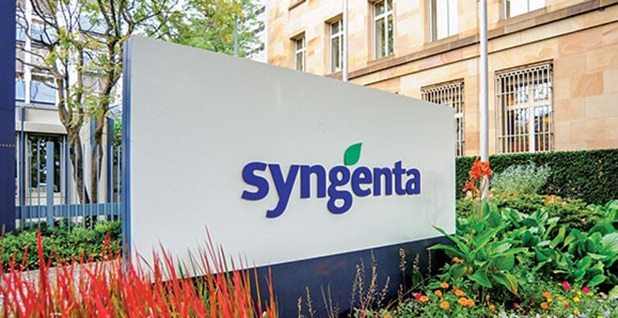 "Negotiations were then conducted to reach a total settlement agreeable to both parties," spokesman Dean Higuchi said, adding that Syngenta agreed to undertake a supplemental environmental project as part of the decree. He touted the final penalty as being the "largest to date" under the FIFRA Worker Protection Standard. The settlement agreement comes days after EPA released annual enforcement data for fiscal 2017, touting that the agency had brought in more than $1.6 billion in judicial and civil penalties. But former officials and environmentalists have criticized the agency for taking credit for agreements reached during the Obama administration (E&E News PM, Feb. 8). According to the civil administrative action filed by the Obama administration in 2016, 19 workers were exposed to an insecticide that contains chlorpyrifos when they entered a field at a Syngenta crop research farm in Kekaha, Kauai, on Jan. 20, 2016. Exposure to the pesticide can cause nausea and dizziness and, in more serious cases, vomiting, diarrhea, blurred vision and loss of consciousness. Ten workers were taken to the hospital, three of whom were kept overnight for observation. EPA alleged that the company had misused the pesticide, which is known as Lorsban Advanced, and failed to notify workers to avoid the field. The complaint also says that Syngenta allowed or directed workers to enter the treated field before waiting an adequate time and without protective gear, and did not have adequate decontamination supplies at the site. The state of Hawaii launched an immediate investigation because a Hawaii Department of Agriculture inspector was at the farm at the time of the incident. Hawaii later referred the case to EPA. "EPA is seeking civil penalties of over $4.8 million for the violations," EPA said in a Dec. 15, 2016, news release. EPA amended the complaint earlier this year to include a Jan. 12, 2017, incident that exposed another 42 workers to the pesticide. Along with the $150,000 civil penalty, this week's settlement requires Syngenta to spend $400,000 on worker protection training sessions for growers in Hawaii, Guam and the Northern Mariana Islands. The company is also required to develop compliance kits in languages that are commonly spoken in the regions. EPA, which last year overturned a proposed Obama administration decision to ban chlorpyrifos, praised the settlement agreement in a news release Monday. "Reducing pesticide exposure for the millions of farmworkers who cultivate our food is a high priority for EPA," said Alexis Strauss, EPA's acting Region 9 administrator. "This settlement will bring to Hawaii and Pacific Island growers much-needed training to protect agricultural workers."